5-minute easy breakfast idea. 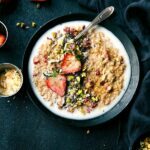 Strawberries and Cream Oatmeal loaded up with tons of good-for-you ingredients and all the ease of preparation! That said, I do love the way oatmeal makes me feel and the energy it gives me! Plus, it’s such an easy breakfast! 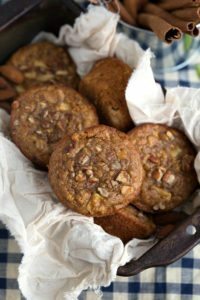 So over the years I’ve found how to make it taste the very best (for me) and also keep it a quick/easy breakfast. 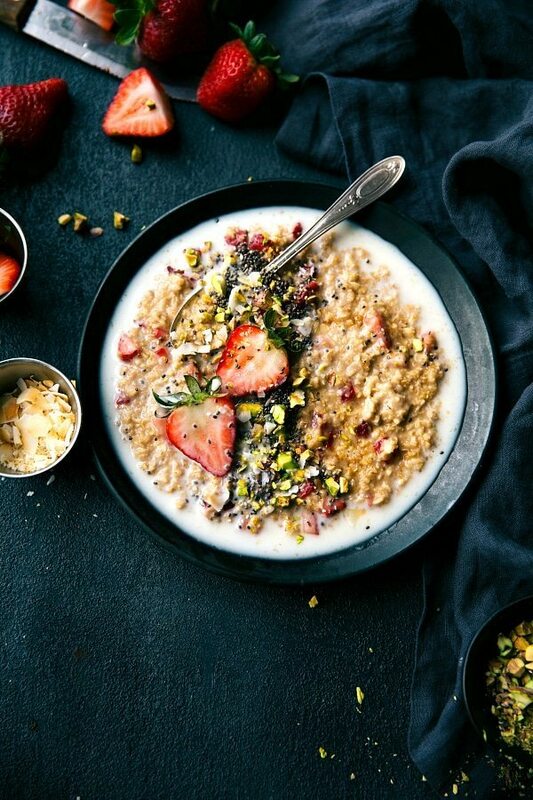 This strawberries cream oatmeal recipe is very simple, but is also my absolute favorite way to enjoy oatmeal. We’ve been eating this exact recipe for several years so I thought it was about time I share it regardless of how simple it is! And in all truthfulness, the toddler picks this oatmeal recipe over every other option for breakfast. And yes, that even includes a sugar-y cereals! #momwin. First off, I think quick oats are the absolute best so that’s all I use for breakfast oatmeal. 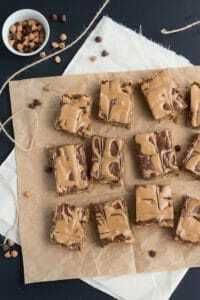 They are first of all, way quick, and second of all, I like the texture best (much creamier!). The next trick is to use some milk or creamer instead of all water. I use 3/4 cup water and 1/4 cup creamer or milk. This makes the oats creamier and gives them more flavor. Next up is the fruit — strawberries obviously for this recipe. But any fruit works. We oftentimes do frozen fruit which is super delicious in hot oatmeal. Then the flavor enhancers. This includes: vanilla extract (amazing what some vanilla does to oatmeal!! ), a little bit of salt, some sugar (I’ve found coconut sugar to be my favorite in oatmeal, but brown sugar works well too), and some coffee creamer. Seriously just a little bit of coffee creamer adds a whole lot of creaminess, texture, and flavor to oatmeal! There is a new coffee creamer that I’m literally obsessed with. It’s called “Simply Pure” (by International Delight) and true to it’s name the ingredient list is short with all recognizable ingredients. In fact, there are only 5 ingredients total. ?? It’s got the best flavor, smells amazing, and really is the “secret ingredient” in this oatmeal! And last but not least you’ve got the TOPPINGS. The more mix-in’s the better in my opinion. 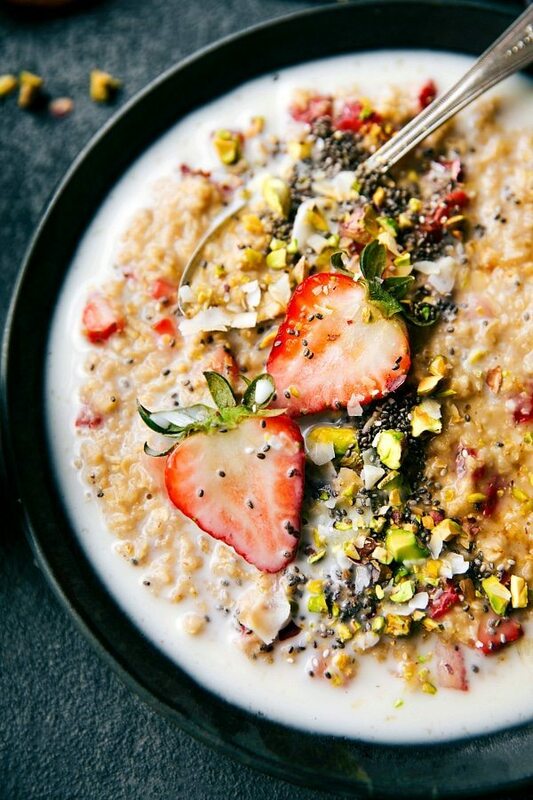 These always change and are totally optional, but the ones we gravitate the most too with strawberries cream oatmeal: a handful of chia seeds, some crushed/chopped pistachios (slivered almonds are another favorite), and dried blueberries. Which if you haven’t tried dried blueberries, you need to get some ASAP. Each tiny dried blueberry has the flavor of about 10 blueberries and they are ultra (naturally) sweet. We never leave these little dried berries out of our oatmeal because they are that good. 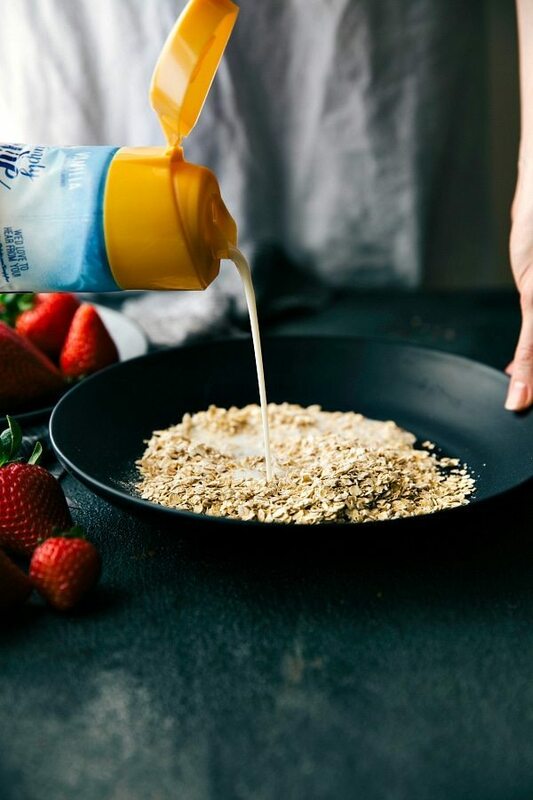 In a microwave safe bowl, combine the quick oats with the water and coffee creamer or milk. Microwave according to package directions (about 1 and 1/2 minutes). 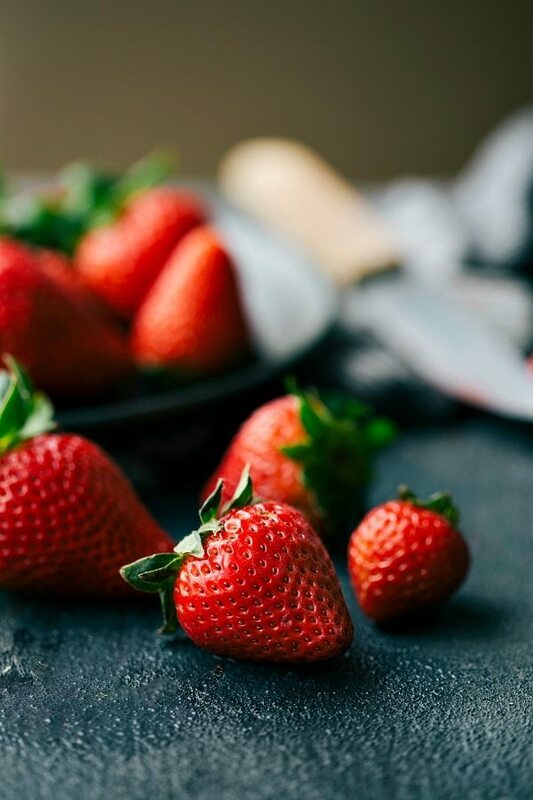 Add in the coconut sugar (or brown sugar), vanilla extract, salt, diced strawberries, and 2-3 tablespoons coffee creamer (to texture preference). Top the oatmeal with add-in's of your choice. Our favorites are chia seeds, chopped pistachios or almonds, dried blueberries, and coconut. 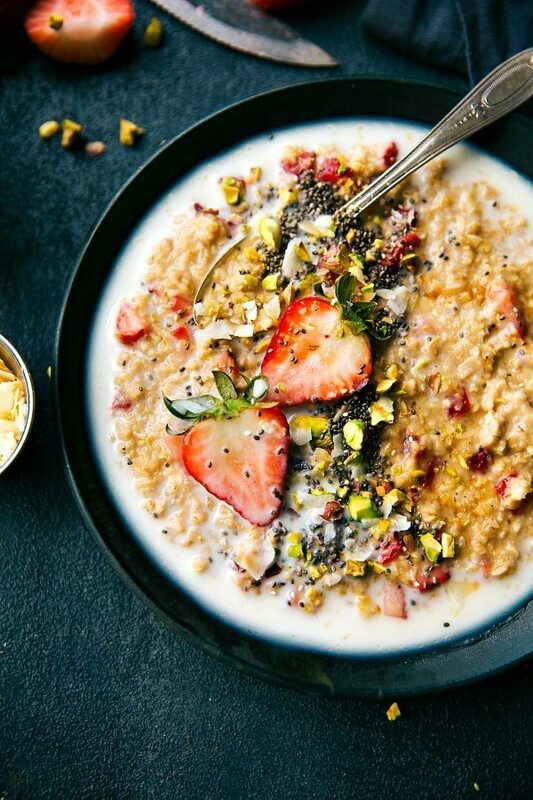 I’m super picky about my oatmeal too, but strawberries ‘n’ cream hanging out in my oatmeal bowl? TOTALLY down with that! This is one gorgeous bowl, Chelsea!